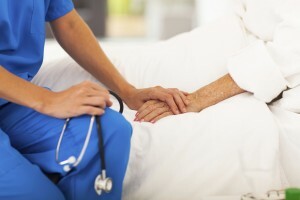 Home health care can be an alternative to inpatient or other institutional setting. Services are based on the individual’s need as defined by their physician. A professional caregiver will visit you and provide your care in the environment where you are most comfortable, your home. Home health care may reduce time spent in an institutional setting such as a hospital, long term care or rehabilitation facility. Care is provided in a comfortable environment, your home. Who uses home health care? Individuals who are terminally ill and desire to live their final days surrounded by their loved ones with dignity in the comfort of their own home. Typical payers include Medicare, Medicaid, Insurance companies, and Private Pay or self-pay individuals. You are homebound. This means that due to your illness or injury it takes a considerable taxing effort for you to leave your home and your absences are infrequent or of relatively short duration. You can still be considered homebound if you leave home to attend a religious service; to receive health care treatment, including regular absences to participate in therapuetic, psychosocial, or medical treatment in a state licensed/certified and/or accredited adult day-care program; or to attend unique or infrequent events (family reunion, funeral, graduation, etc.) However, if you drive an automobile, then you probably do not meet the Medicare homebound requirement. You have a recent illness, injury or condition which requires Skilled Nursing Care or an intermittent basis, or Physical Therapy, Speech-Language Pathology or have a continuing need for Occupational Therapy. You are an eligible Medicare Beneficiary and under the care of a doctor who has ordered the treatment or services, we are providing. If the services are not reasonable or medically necessary and specifically ordered from your doctor, Medicare will not pay for these services. Care is provided on an intermittent basis. This means Medicare will not pay our health care staff to stay with you for an extended period. We will visit you for the length of time it takes to provide the specific treatment ordered by your doctor. If all of these requirements are met, Medicare will also usually pay for medically necessary Occupational Therapists, Medical Social Workers, Home Health Aides and some medical supplies. A Registered Nurse will make visits on a regular basis to insure the quality of care provided is the best and to address any concerns you may have. 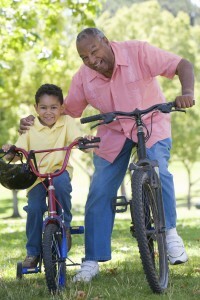 Additionally, services not covered by Medicare, Medicaid and Insurance companies are available on a private pay basis. Call 1.901.363.6046 and ask to speak to an intake coordinator to schedule an appointment or request additional information. You can also visit our contact page and send a message through our contact form. A physician, individual or family member can initiate service. Medicare, Medicaid and most insurance require physician oversight. If the individual is covered by Medicare or Medicaid, they may have a spend-down or co-pay, otherwise they typically pay nothing out of pocket. If the individual has private insurance, we will work with the insurance provider to ensure the best possible coverage. The cost will depend on a variety of factors including the number of hours and type of services the individual needs. Services are also available on a Private Pay basis. Who provides home health services? Our home health care team consists of physicians, nurses, certified nurse aides, home health aides, medical social workers and therapists who coordinate care based on an individual’s needs. We provide services that are designed to maintain independence and safety in addition to enriching the lives of our clients. Why should I choose Functional Independence Home Care, Inc. instead of hiring someone myself? There are a number of reasons for choosing Functional Independence Home Care, Inc. services and it is important you are aware of them. Functional Independence Home Care, Inc. is Medicare certified. This means that we follow very strict federal guidelines in our operations and when delivering care to you. Our healthcare providers have been carefully selected and a thorough background check conducted. Our new hires have been extensively interviewed, drug screened and their references checked and verified. 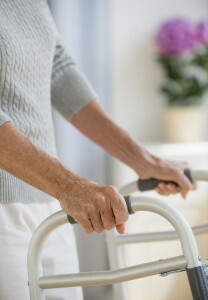 Functional Independence Home Care, Inc. supervises our employees to provide you with competent, compassionate care. We take care of the federal and state unemployment compensation premiums. We take care of the federal, state and local withholding taxes as well as any matching requirements. We take care of the caregivers Christmas Bonus. We contribute to the caregiver’s 401k plan. We provide backup caregivers when necessary. Our caregiver skills are routinely tested and evaluated to determine in-service needs. Our caregivers frequently attend workshops and continuing education seminars. All employees of Functional Independence Home Care, Inc. have passed Basic First Aide Instruction. All employees of Functional Independence Home Care, Inc. are CPR certified and tested for TB to insure the client’s safety. Our staff, both in the office and in your home, is professional, caring and simply the best.